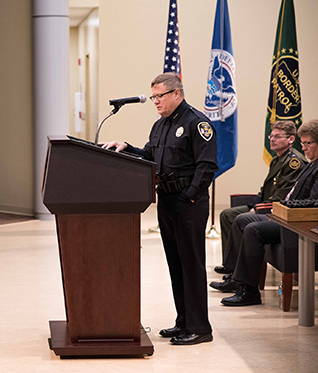 The U.S. Border Patrol Academy graduated 34 new agents Wednesday during a special ceremony at the Federal Law Enforcement Training Center (FLETC). Class 1079 will now be charged with protecting the nation’s borders from the Yuma Sector to the Rio Grande Valley Sector. 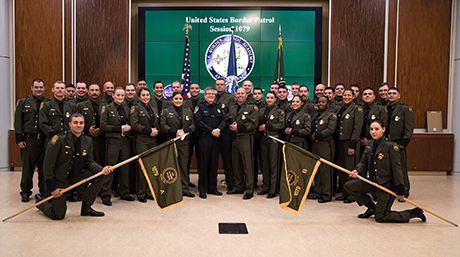 “Class 1079 has worked hard at accomplishing this milestone and have shown the true character that embodies Vigilance, Integrity, and Service to Country,” said SBPA Juan Di Bella. The commencement included awards and a guest address by Artesia Police Chief Kirk Roberts.